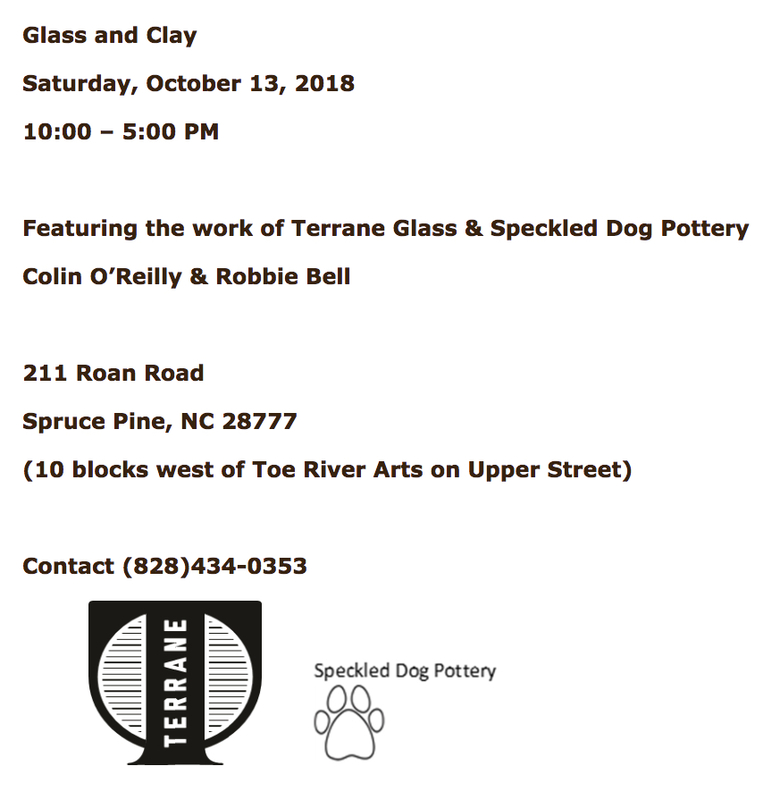 The exhibit features stoneware and porcelain finished with slips, shino and celadon glazes and ranging in form from functional pots and wares to sculptural pieces. 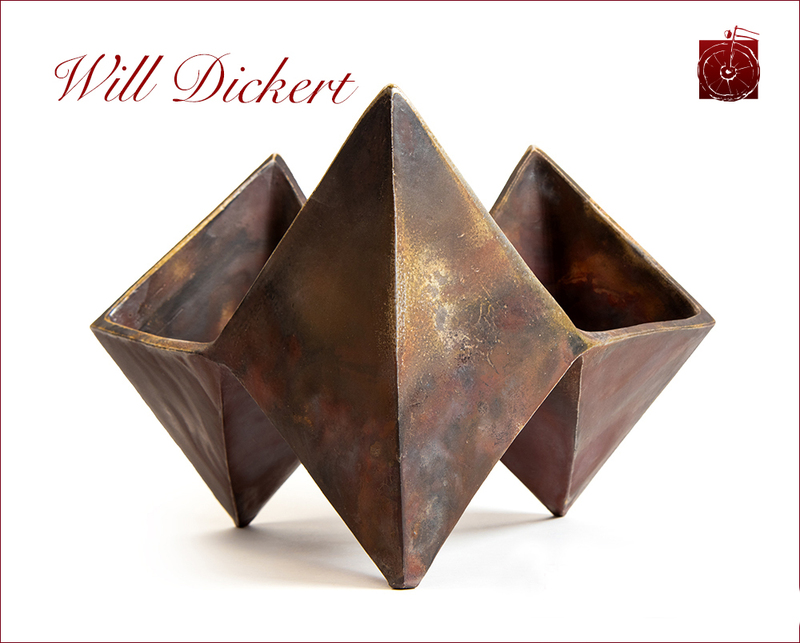 Using a limited pallet, Dickert allows ashes and flame to paint his pieces in a natural and organic way. 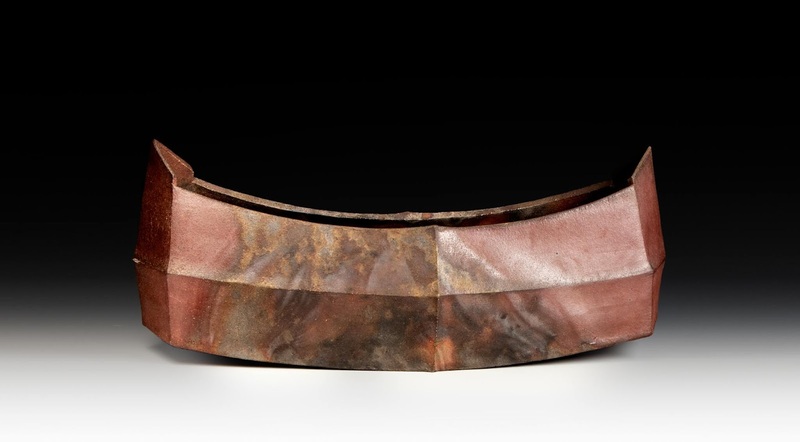 The ashes that fall onto his work during firing eventually melt to create a directional glaze that ranges in glossiness depending on proximity to the firebox. This ash creates rivulets and drips that run and collect on edges and lips, highlighting the forms. ICYMI, you can read Ceramics Monthly, Pottery Making Illustrated and Studio Potter articles online with your library card. NC LIVE is a service available through North Carolina libraries that provides access to magazines, journals and books. You just need your library card number and possibly a password (available from your library). What other services are available through the North Carolina libraries that should we know about? Does your local library offer any cool resources? 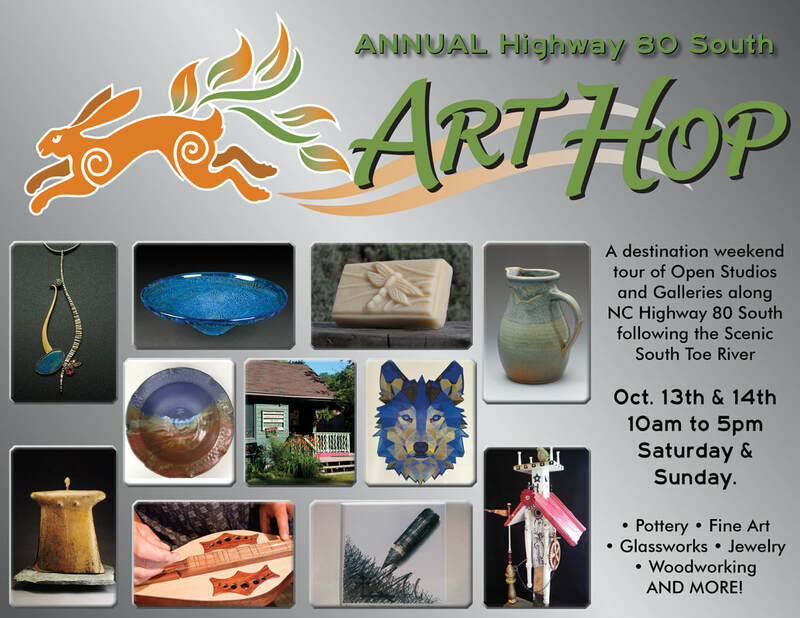 Visit 30 artist's studios in a self-guided tour in North Asheville on and off Beaverdam Road. 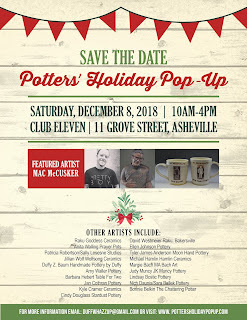 Join us for a self-guided tour of artists’ studios in North Asheville. 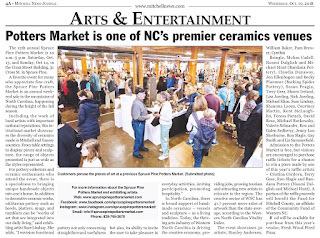 We are 30 artists living and working in beautiful Beaverdam Valley, showcasing ceramics, painting, jewelry, sculpture, glass, and textile art. We invite you to meet us and purchase our artwork. All studios are off Beaverdam Road, reached from Merrimon Avenue. Tour maps are available online and in our brochure. Stop by on Saturday to meet the artist, NC native, and inventor/designer of @Mudtools. 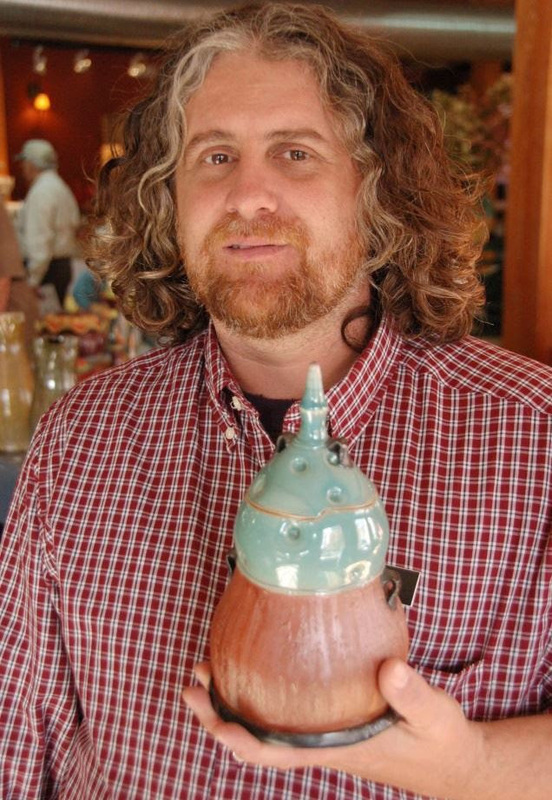 The November Exhibition at In Tandem Gallery in Bakersville is with ceramist Will Dickert. 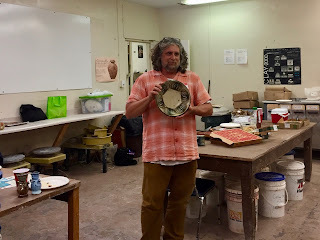 Dickert's show I about wood firing and form. He uses a really limited pallet as far as surface goes, allowing the ashes and flame to paint his pieces in an extremely natural and organic way. One of Dickert's stronger suit is his attention to the shapes of his work. 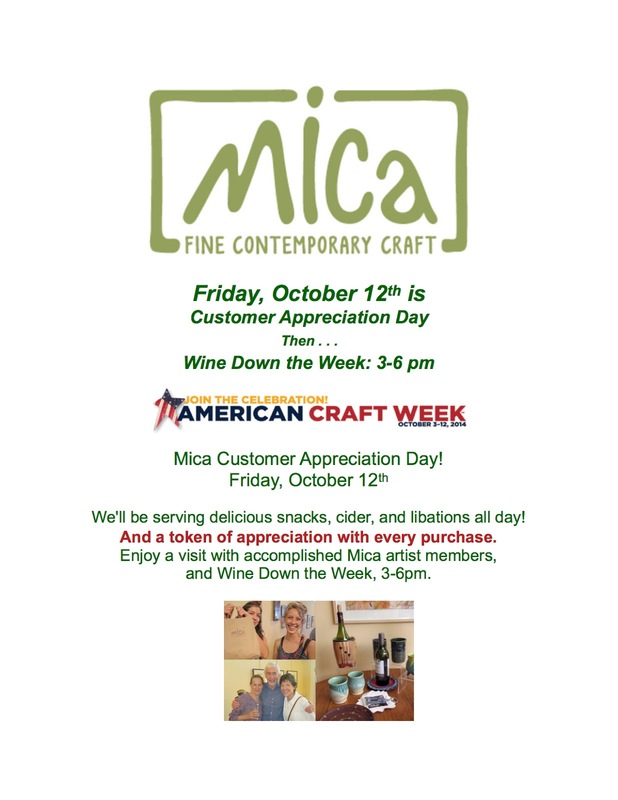 Mark your calendar and celebrate with us Will's stunning creations. 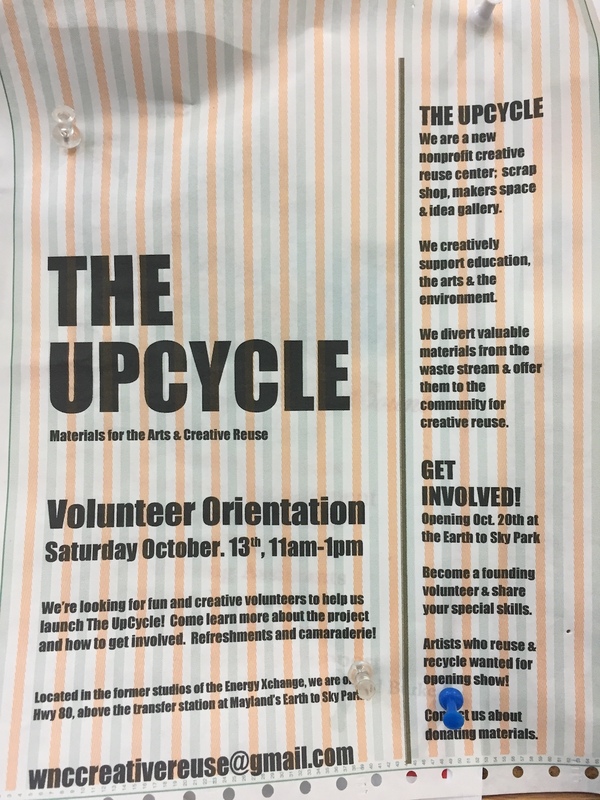 The UpCycle! 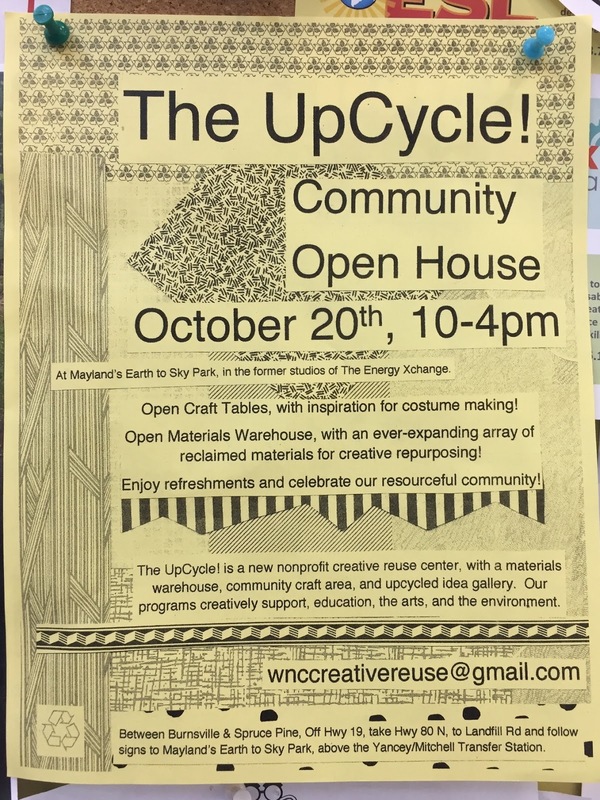 will hold a Community Open House Saturday October 20th from 10:00am-4:00pm at Mayland’s Earth to Sky Park, located at 66 Energy Xchange Drive in Burnsville. 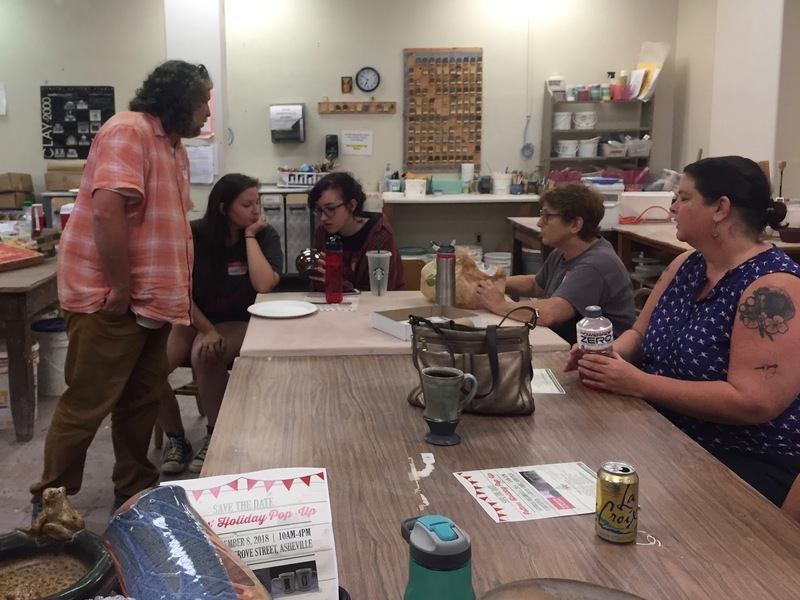 Open House, Open Craft Tables, Open Materials Warehouse! Join your creative community and learn more about our nonprofit project that aims to support education, the arts, the environment, and economic development. 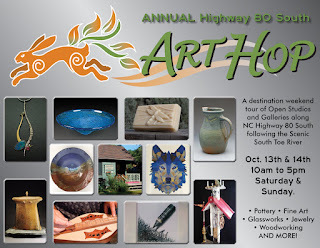 The Village Potters Teaching Center will be among the demonstrators at the Craft Fair of the Southern Highlands! Call to artists for "Clay: A Southern Census"
The Clay Center of New Orleans seeks applicants for “Clay: A Southern Census,” an annual juried exhibition devoted to ceramic work by artists residing in the states that make up the U.S. Census Bureau’s “South Region,” which includes AL, AR, DC, DE, FL, GA, KY, LA, MD, MS, NC, OK, SC, TN, TX, VA and WV. 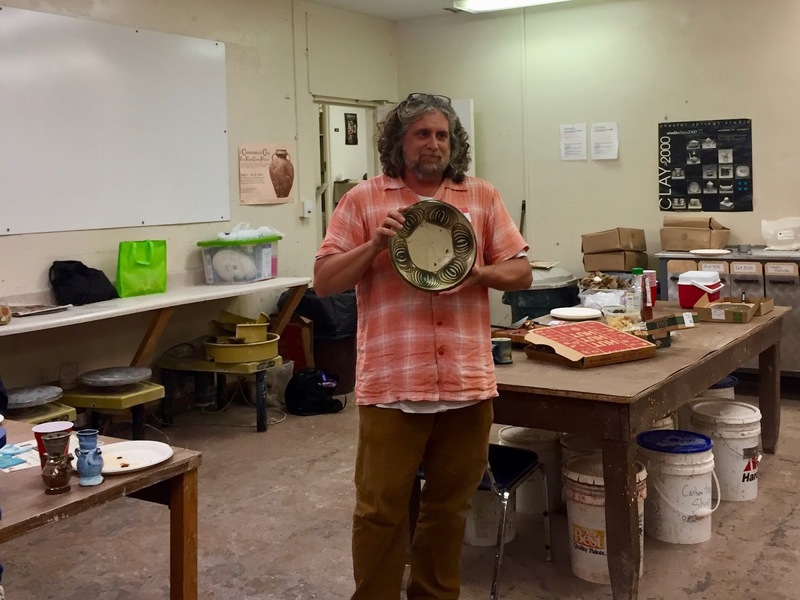 Open to ceramic vessels, sculptures and wall-mounted works, this exhibition will be on display March 1 to 30, 2019 in the Clay Center’s new gallery space in the heart of New Orleans. Join us to support Dig In! Yancey Community Garden so that together we can put fresh food on everyone's table in Yancey County. 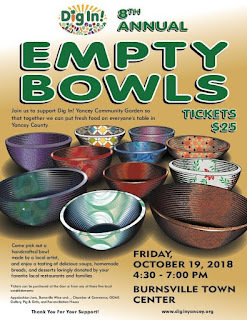 Come pick out a handcrafted bowl made by a local artist, and enjoy a tasting of delicious soups, homemade breads, and desserts lovingly donated by your favorite local restaurants and families. 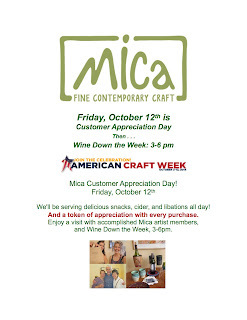 Appalachian Java, Burnsville Wine and..., Chamber of Commerce, OOAK, Gallery, Pig & Grits, and Reconciliation House. 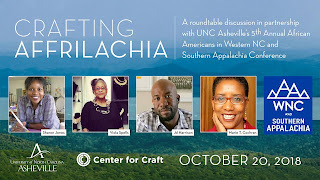 October 20, 2018 - 12:45 p.m.
Crafting Affrilachia is a roundtable discussion featuring contemporary Appalachian craftspeople of color sharing and raising the visibility of their work and documenting how their practic impacts their identity, community, and cultural history. 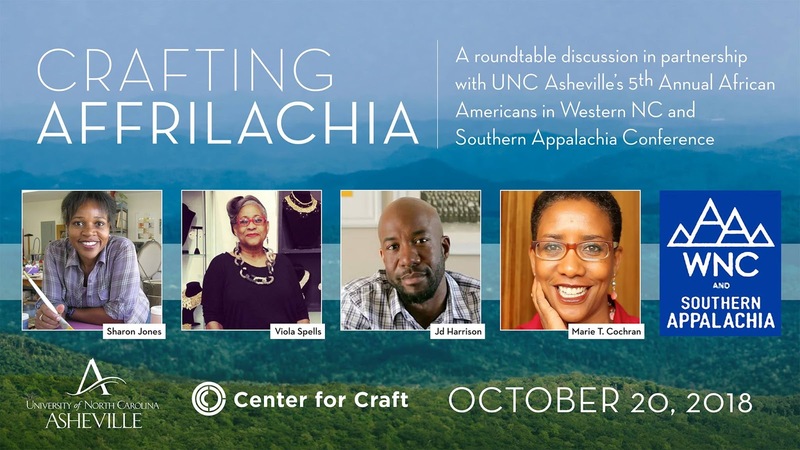 Crafting Affrilachia will be led by independent scholar, Marie T. Cochran, artist, educator, curator, and the founder of the Affrilachian Artist Project, which has generated a network of individuals and organizations which celebrate the intersection of cultures in Appalachia. Panelists include ceramic tile artist & mosaicist Sharon Jones (Pendelton, SC), furniture designer and maker Jd Harrison (Greenville, SC), and jewelry designer and maker Viola Spells (Asheville, NC). Conference activities are free and open to everyone with advance registration requested. The conference will begin with an opening reception on Thursday, Oct. 18 at the YMI Cultural Center, scholarly presentations and community panels Oct. 19-20 at UNC Asheville, and an awards night at The Collider on Saturday, Oct. 20 to conclude the weekend. Admission is free to conference activities with advance registration. Finally, Thanks to Marian Parkes I have a new Flip camera and Cheryl helped me make this video...more to come...next week. 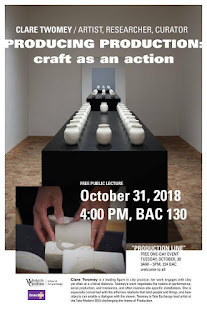 The Western Carolina University School of Art + Design warmly invites you to join us for Clare Twomey’s lecture on “Producing Production: Craft as an Action.” Clare Twomey is a British artist, researcher, and curator and is a leading figure in clay practice. Twomey’s work negotiates the realms of performance and transience. 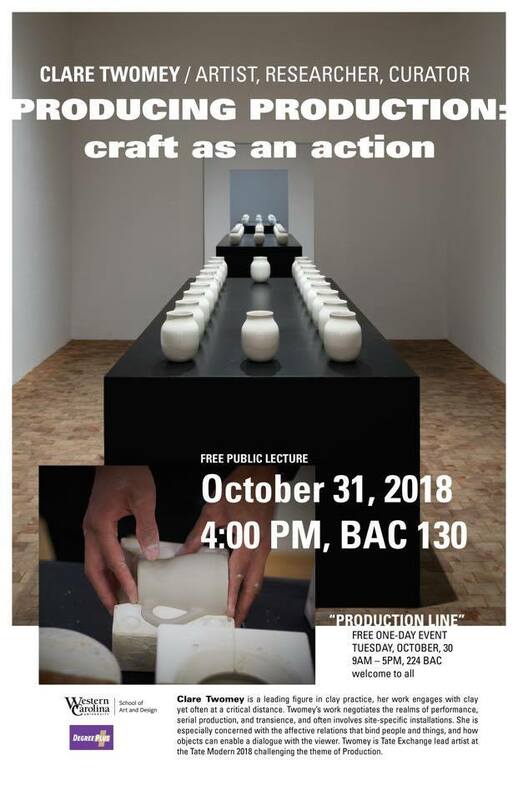 Clare Twomey’s lecture will be on Wednesday, October 31, 2018 at 4pm in Room 130 at the WCU Bardo Arts Center. We would also be delighted for you and your students to join us on Tuesday, October 30, 2018 for “Production Line,” an all-day project with Clare starting at 9am and ending at 5pm in Room 224. 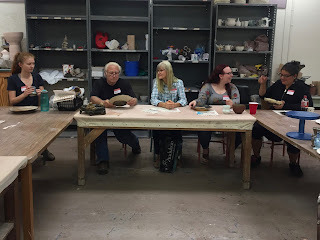 In this one-day factory, guests will participate in the step by step process of creating pinch pots in a socially engaged service learning project designed to promote the ceramic arts. The work produced during “Production Line” will be placed on display in Gallery 256 on Wednesday, October 31, 2018. 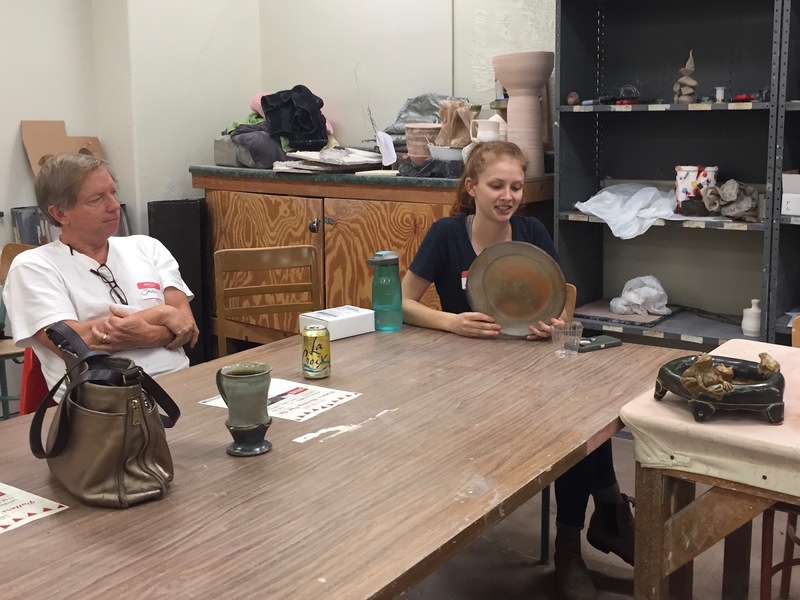 Participants will be invited to return and select a pot as a memento of the experience. 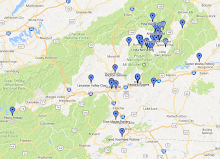 Bardo Arts Center is located at 199 Centennial Drive on the WCU Cullowhee campus. This event is free and open to the public, visitor parking is available. Visit arts.wcu.edu/planyourvisit for details on parking. 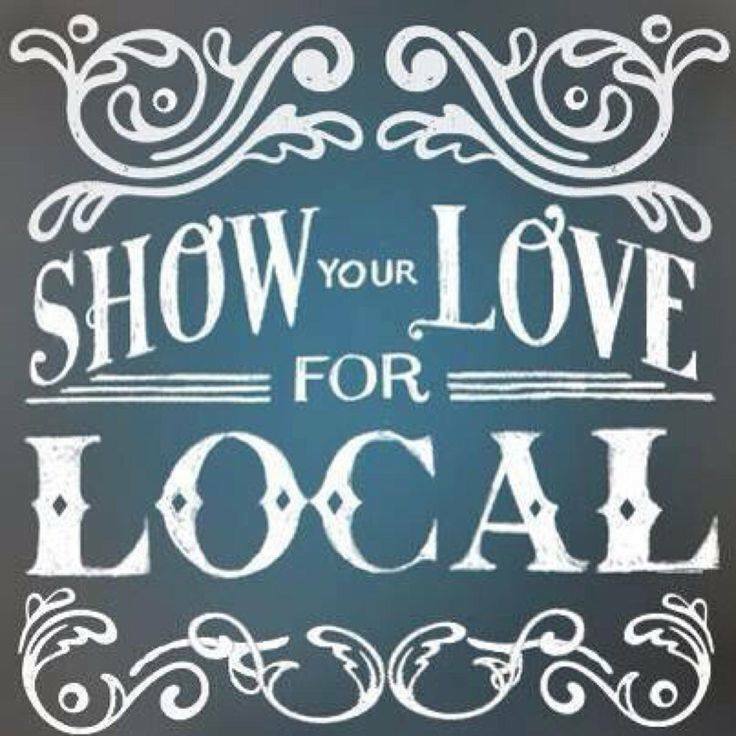 Share it on Facebook: arts.wcu.edu/clare-twomey. 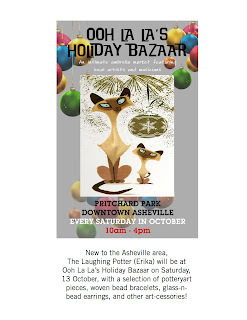 Well, this Friday from 4:00-7:00 is the Bakersville Art Walk. 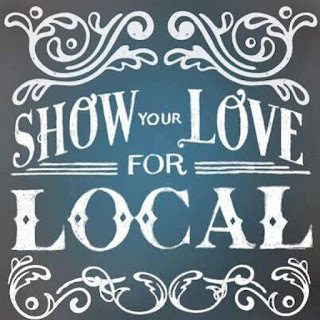 It's a great way to end the week, visit some local businesses, chat with some friends, get some snacks & drinks,... AND see some great artwork. 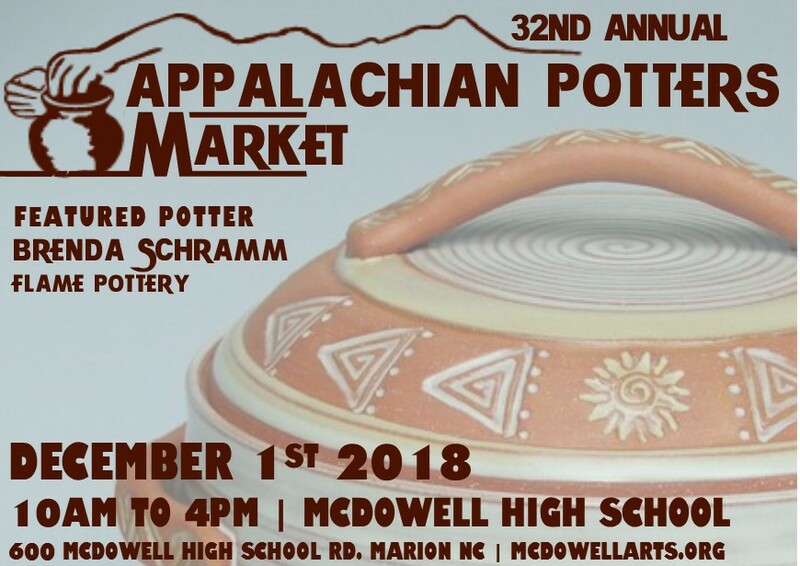 The 12th annual Spruce Pine Potters Market is 10 a.m.-5 p.m. Saturday, Oct. 13, and Sunday, Oct 14, in the Cross Street Building, 31 Cross St. in Spruce Pine. 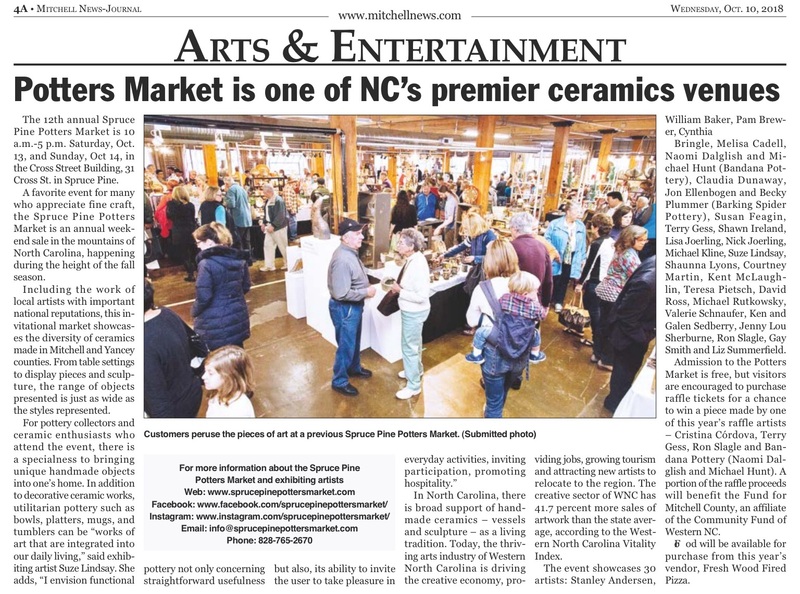 A favorite event for many who appreciate fine craft, the Spruce Pine Potters Market is an annual weekend sale in the mountains of North Carolina, happening during the height of the fall season. 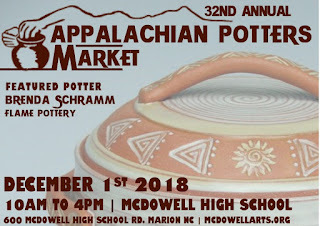 Including the work of local artists with important national reputations, this invitational market showcases the diversity of ceramics made in Mitchell and Yancey counties. From table settings to display pieces and sculpture, the range of objects presented is just as wide as the styles represented. 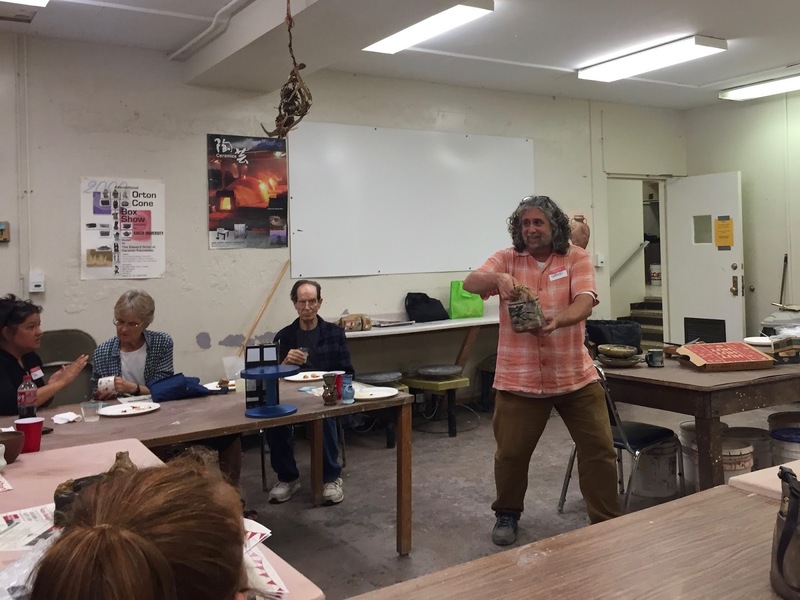 Thanks to Shane Mickey for hosting Clay Club at the Mars Hill Center for the Ceramic Arts at Mars Hill University! Shane proposed a Show and Tell program, and almost everyone came with work of their own and/or from their personal collection to share. Pieces ranged from low to high fire and from old (1600s!) to (almost) newly out of the kiln. It was awesome to get to see and hear about it all. November Clay Club will be at David on the Corner in Bakersville on Wednesday, November 14th. Thanks to David Westmeier for hosting us! I’ll share more info closer to the date. Thanks again to Shane and his students - and to everyone who came! 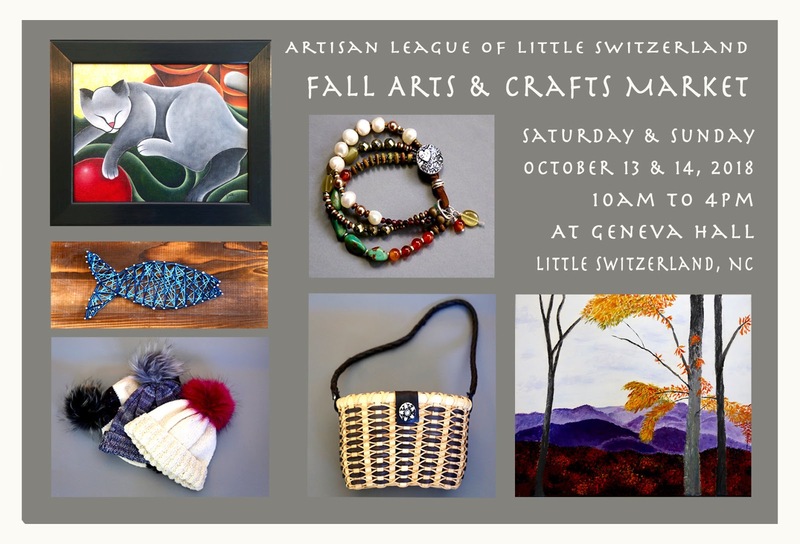 Enjoy the wonderful variety of very talented and locally made artworks,basketry, photography, lotions, stained glass, wood works, jewelry, paintings, candle arts, pottery, fiber arts, marbling, metal works, and much more! A perfect time to find unique holiday gifts for loved ones! 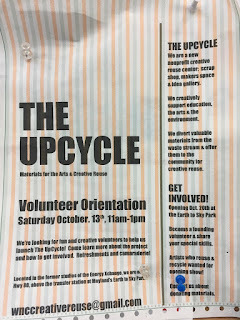 The UpCycle! 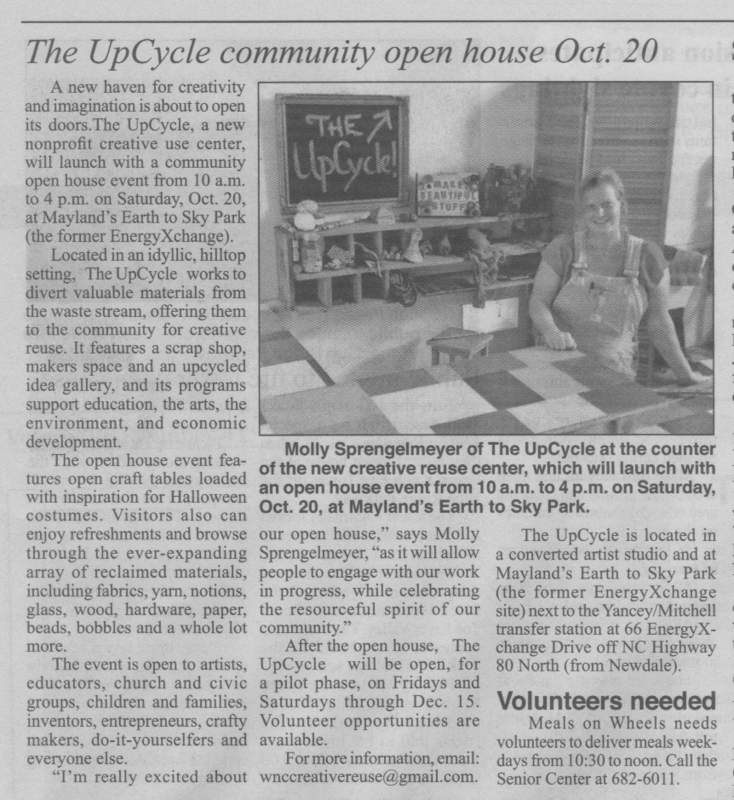 is a new nonprofit creative reuse center, opening at the Earth to Sky Park (former Energy Xchange) October 20th. 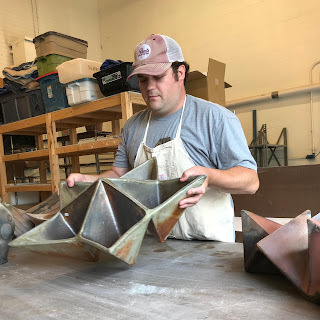 We aim to creatively support education, the arts, the environment and economic development, by keeping materials out of the waste stream and in the hands of our creative community for repurposing. 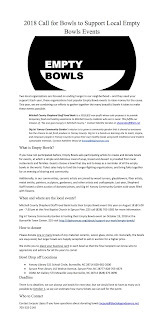 We're actively seeking volunteers! 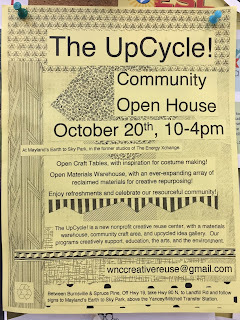 Community Open House, Saturday October 20th, 10am-4pm: Open craft tables for last minute costume inspiration. Refreshments and Merriment! The material warehouse will be operating on a cash only, donation basis. New to the Asheville area, The Laughing Potter (Erika) will be at Ooh La La’s Holiday Bazaar on Saturday, 13 October, with a selection of pottery art pieces, woven bead bracelets, glass-n- bead earrings, and other art-cessories! 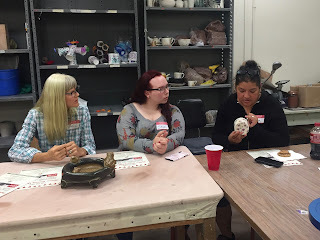 October Clay Club is at the Mars Hill Center for the Ceramic Arts at Mars Hill University from 5-7 pm (note that the time is different from our usual schedule) this Wednesday, October 10th. Thanks again to Shane Mickey for hosting us! Adults $5; Ages 12 - 17, $3; under 12, free. Golden fall sunlight and brightly colored leaves provide a scenic backdrop for the John C. Campbell Folk School's Fall Festival. 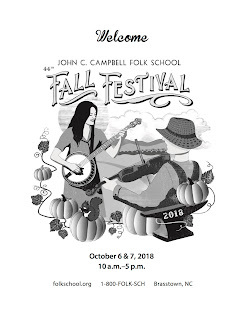 This treasured annual celebration of Appalachian culture, held on the Folk School's Brasstown, North Carolina campus, heralds its 44th anniversary in October. Visit over 240 fine craft exhibitors tucked along the school's winding wooded paths. 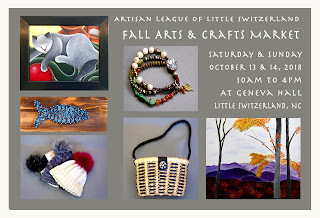 Watch more than 40 artisans demonstrate traditional and contemporary crafts. Fill your ears with bluegrass, gospel, folk, and Celtic music on both days. Tap your toes to clogging, Morris, and Garland dance performances throughout the weekend. Children will enjoy the pony rides, petting the alpacas, and visiting the animals at the Humane Society's pet adoption booth. 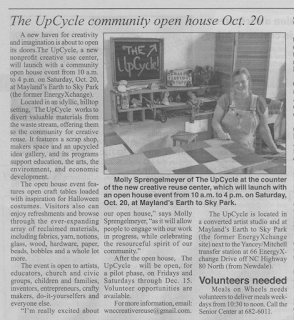 Face painting and arts and crafts activities will be offered by the Cherokee County Arts Council. Hungry festivalgoers can satisfy their appetites with a tasty lunch, dessert, or snack. Vendors' concession proceeds benefit several non-profit and community organizations. 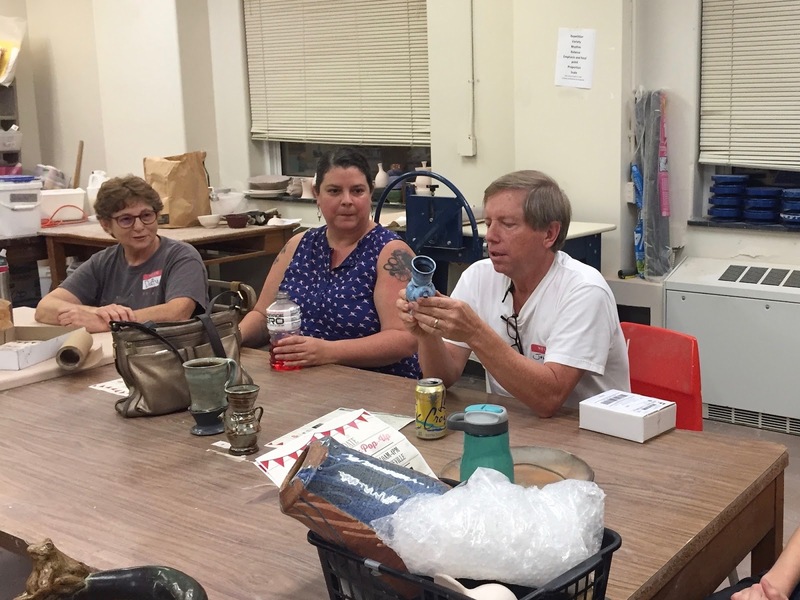 The Folk School's renowned Craft Shop, containing fine crafts from over 300 juried regional artists, will draw visitors throughout the weekend and be offering a chance to win a $100 gift certificate to the Craft Shop. There are no ATM’s on campus: While many vendors accept credit cards, attendees are encouraged to bring cash to pay for tickets and food. Dig In! 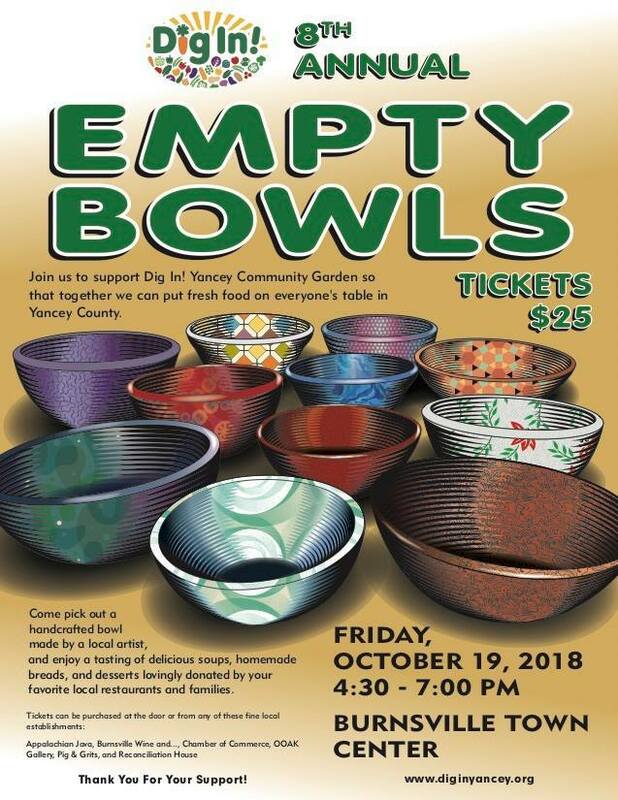 Yancey Community Garden is hosting their Empty Bowls event on October 19, 2018 at the Burnsville Town Center and bowls are still needed! October Clay Club will be at the Mars Hill Center for the Ceramic Arts at Mars Hill University from 5-7 pm (note that the time is different from our usual schedule) on Wednesday, October 10th. Thanks to Shane Mickey for hosting us! The program will be show and tell, sharing your collection. Shane says: Clubbers are encouraged to bring 1 to 2 pieces to discuss and share at Clay Club. These can be pieces you made yourself or pieces from your collection made by someone else. We’ll have our usual potluck, so bring food to share. Alcoholic beverages are not allowed, so please bring drink to share, just nothing alcoholic. 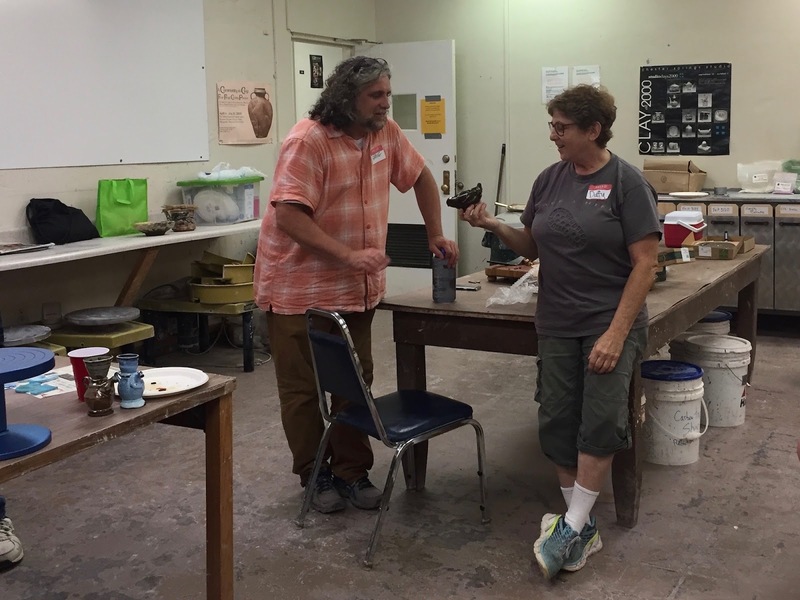 Once you get to the campus, the Mars Hill Center for the Ceramic Arts is located at 79 Cascade Street in Mars Hill. Coming from Highway 19-23 (Future Interstate 26), turn left at Wells Fargo Bank. The studio is down the driveway to the right. For help with directions, email Shane at dmickey@mhu.edu. Carpooling: if you’re interested in carpooling, let me know and I will put folks in touch. You can also leave a comment on here this blog post or on this facebook post. Are you In love with animals? Do you like a bit of lifelike painting on your ceramics? Want some totally functional and useful tableware that could just as easily be displayed on your wall (actually, on a shelf would probably work best...)?? Well, this months exhibition is the perfect blend of all those things. Charlie Tefft is the consummate artist; combining beautiful pottery with exquisite paintings; of adorable wrens, curled up foxes, bouncing rabbits, strolling bears, raccoons, possums, squirrels... it goes on and on.